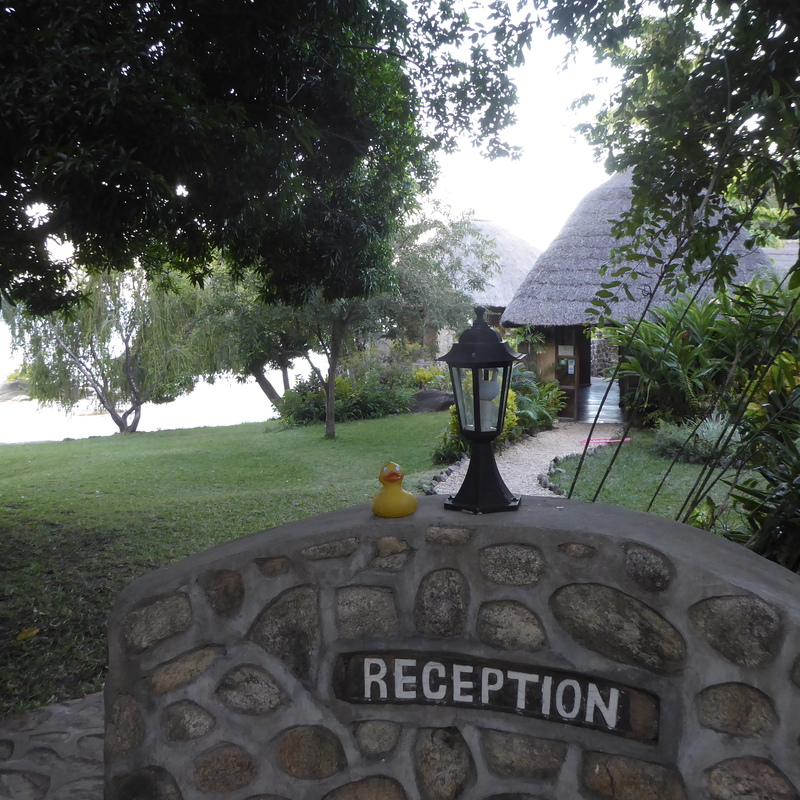 After one week of volunteering, I, Zeb the Duck, and four of the volunteering women have a mini vacation at Makuzi Beach Lodge. 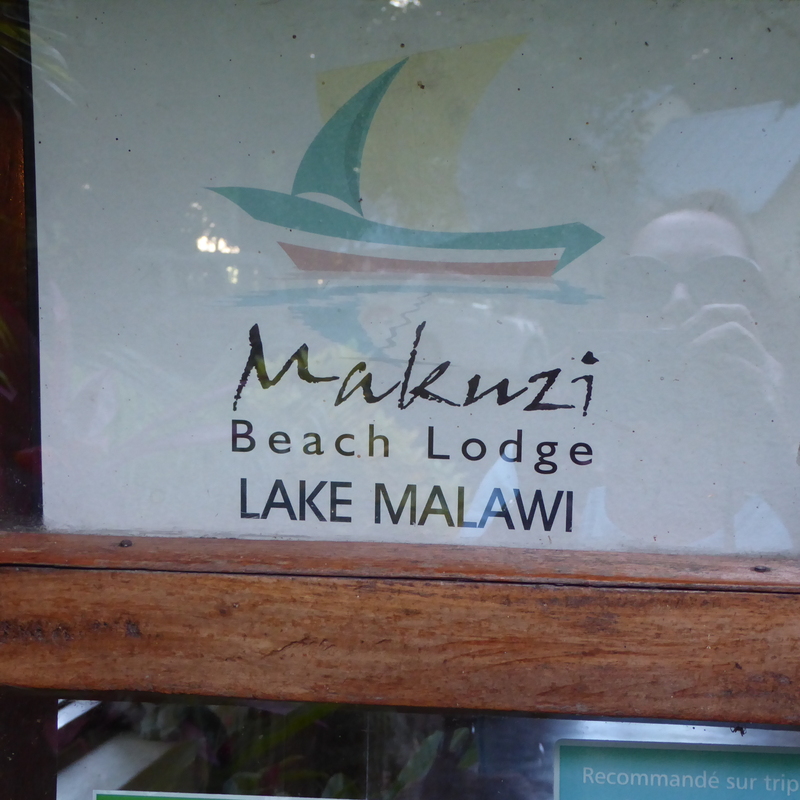 Makuzi Beach Lodge is also on the beautiful Lake Malawi, a 30 minute drive from or Ripple Africa location. Here we are. Let’s go to the Reception to check in and get our room keys. 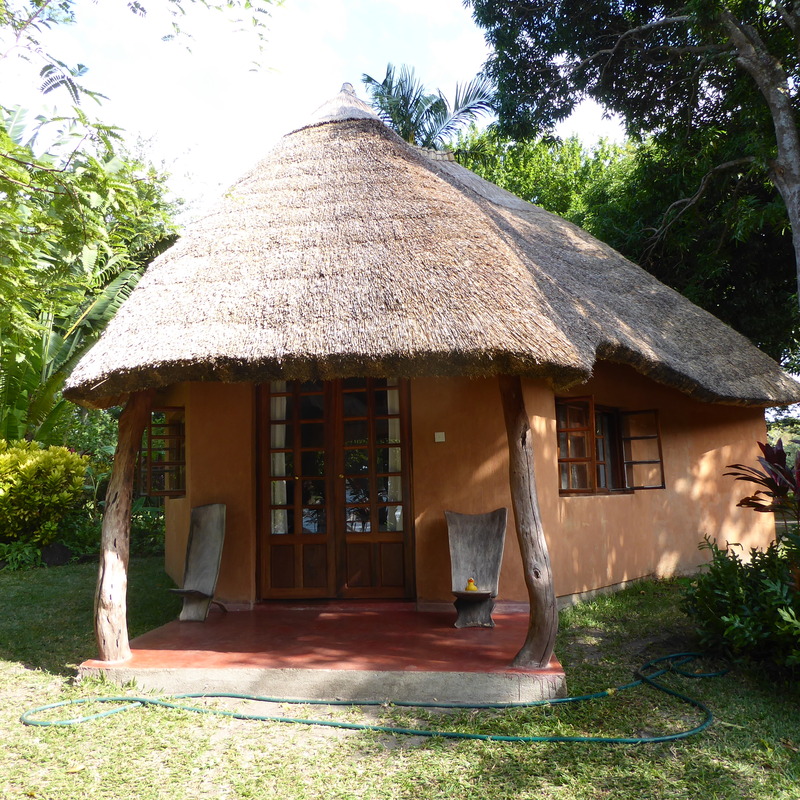 We are enjoying our time at Ripple Africa, but here we each have our own room with an en suite bathroom and plenty of hot water. True luxury. My first thought was to go to the beach. Here I am lounging on a beach chair. That is me, Zeb the Duck, on the chair on the right. We have a nice sandy beach and the rocks in the water give it character, without making the beach too rocky. I really like this resort. 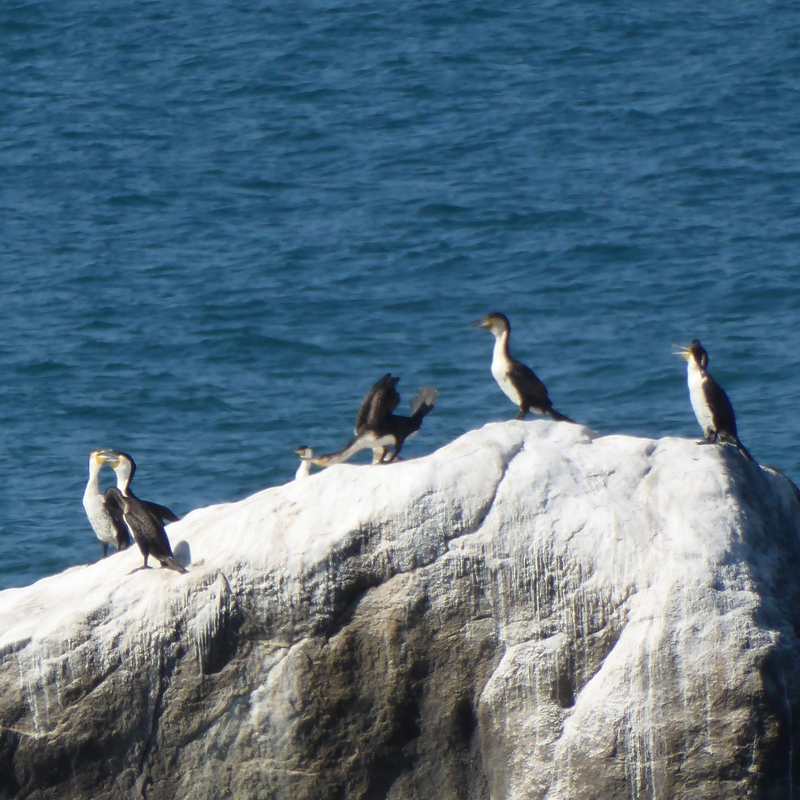 We even have birds on a rock in the water. There are almost always birds here. Of course, being a duck, I do like birds. Wow! 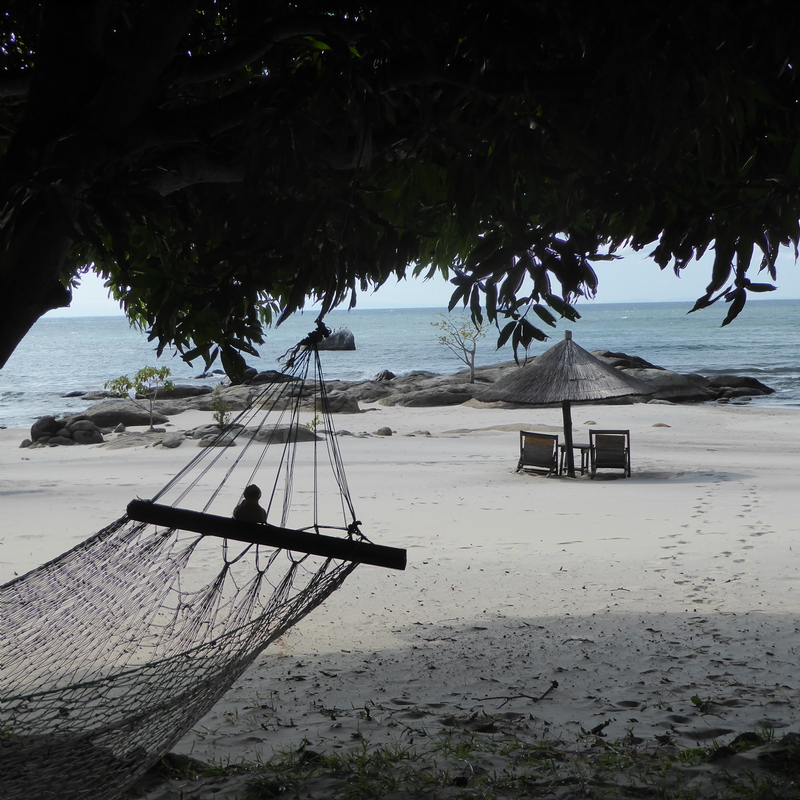 This hammock is in front of my room. This could be my favorite place to rest. Our cabin, or chalet, is so cute. Don’t you think it looks so tropical? I am sitting on the chair on the right, on my porch. This chair is really comfortable, too. 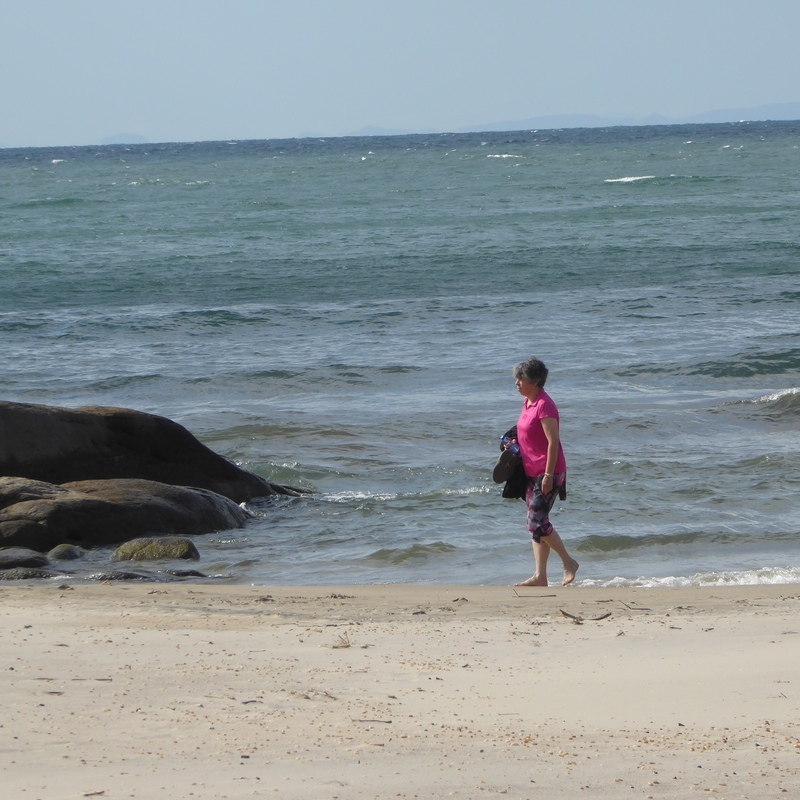 A nice splash of color as Deborah walks on the beach. Love the color of your shirt, Deborah. On the right, is the bar and lounge. The structure on the left is our restaurant. They really prepare excellent food here. Under the restaurant the brightly colored kayaks are available for our use. Unfortunately it is a little too windy to use them this weekend. 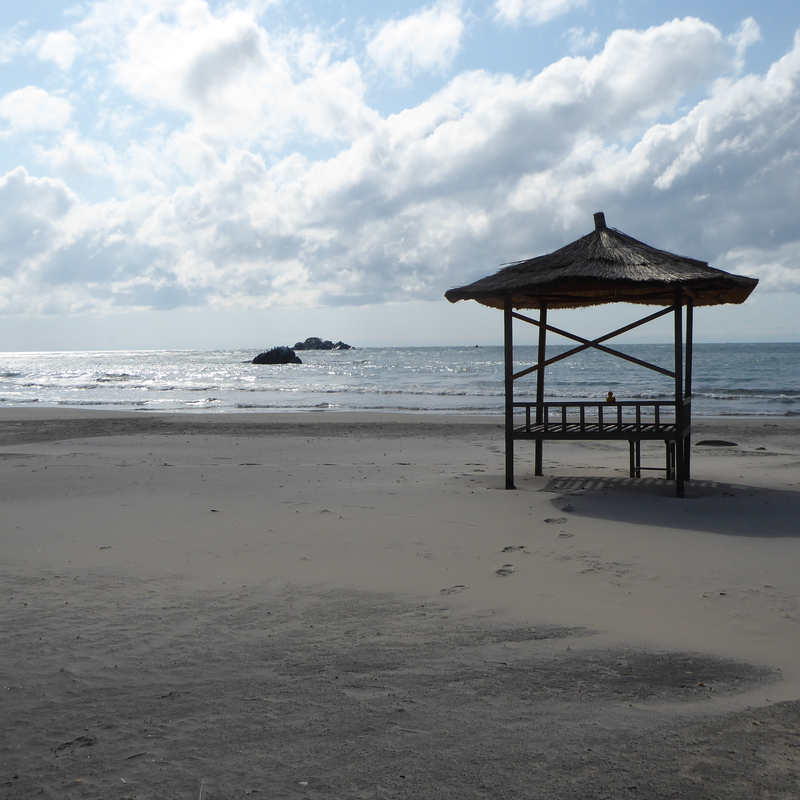 There are a few of these platforms, or beach gazebos available. There is a canoe in the water. 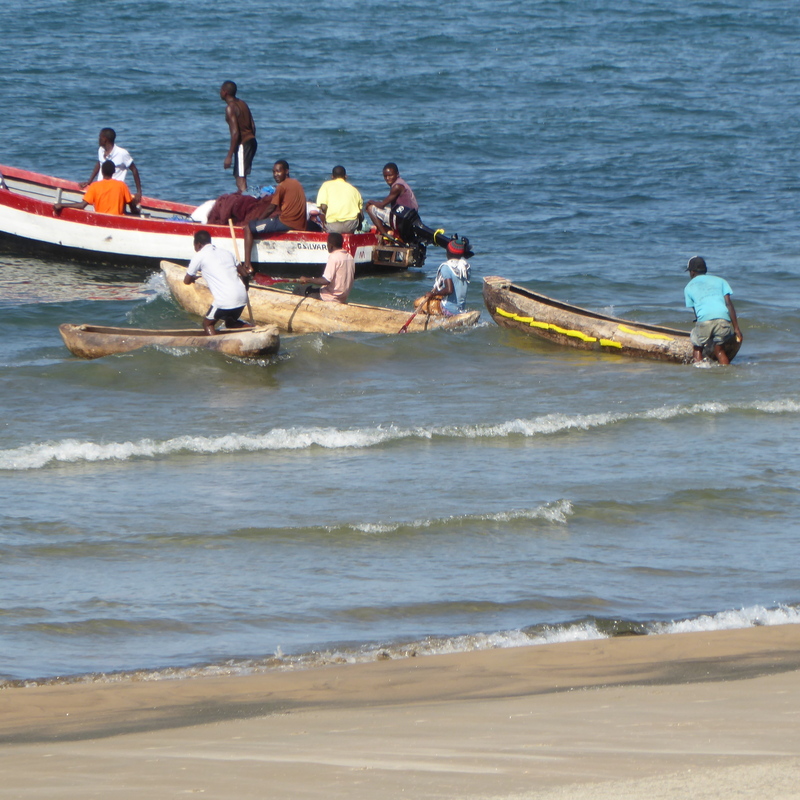 These are narrow dugout canoes. 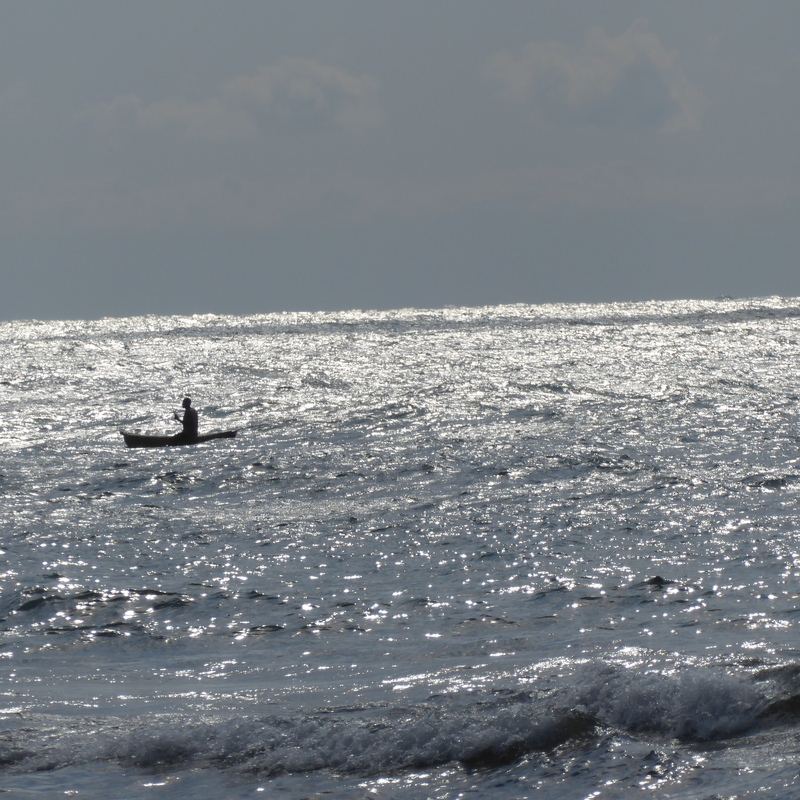 The person in the canoe must sit on the edge of the canoe and paddle. 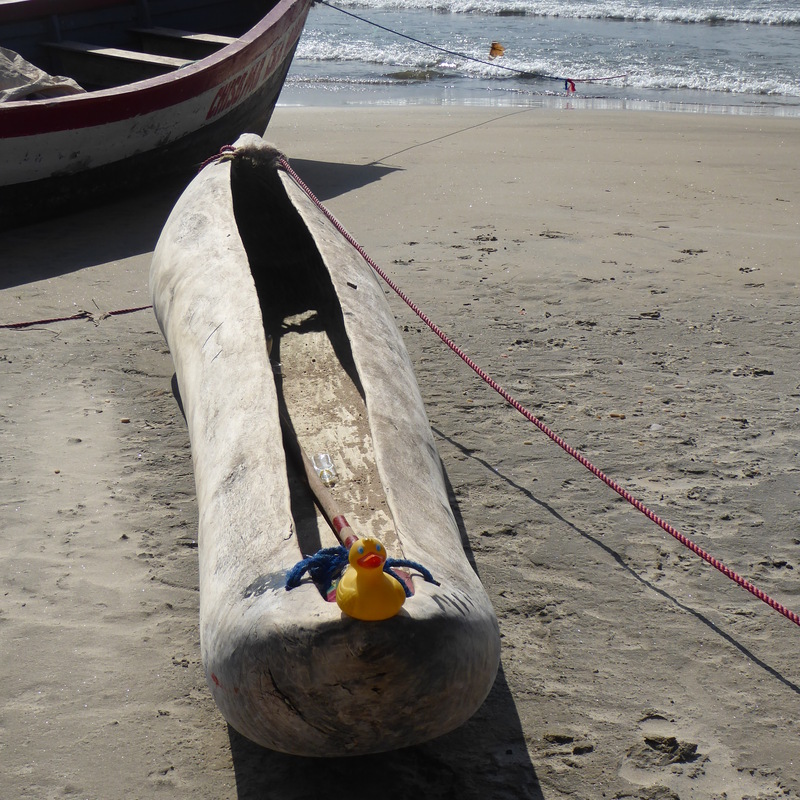 I am in the canoe and ready to go. Oh well, maybe they are not ready to go in the water yet. But I will be back soon. Hey, what is happening? It looks like they are going to go without me. I will be staying on land with mom and the other women. This is a nice lodge with a beautiful location. 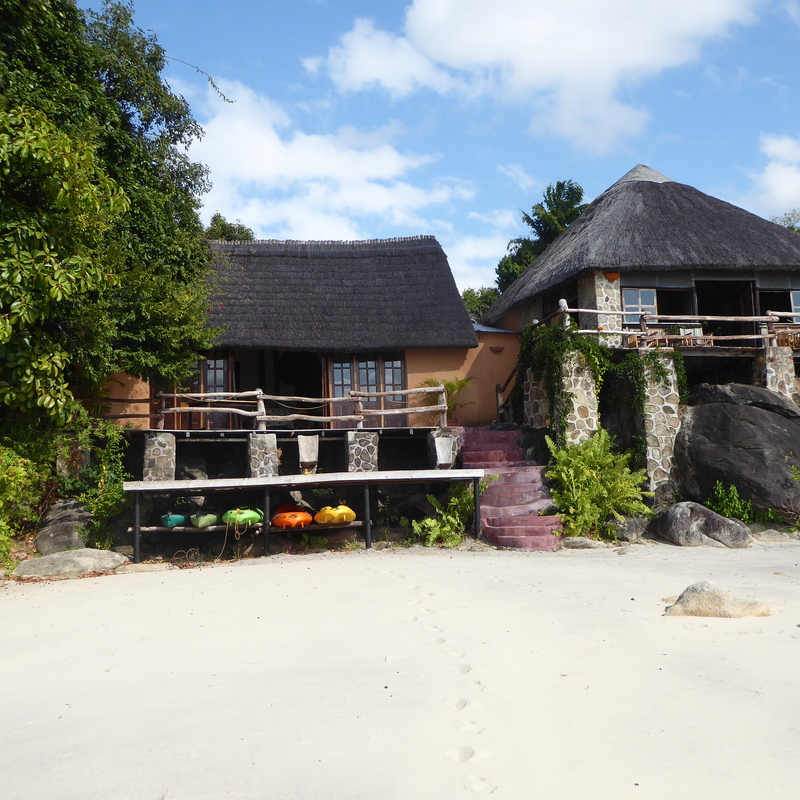 For more information about Makuzi Beach Lodge, visit http://www.MakuziBeachLodge.com I enjoyed my weekend here. 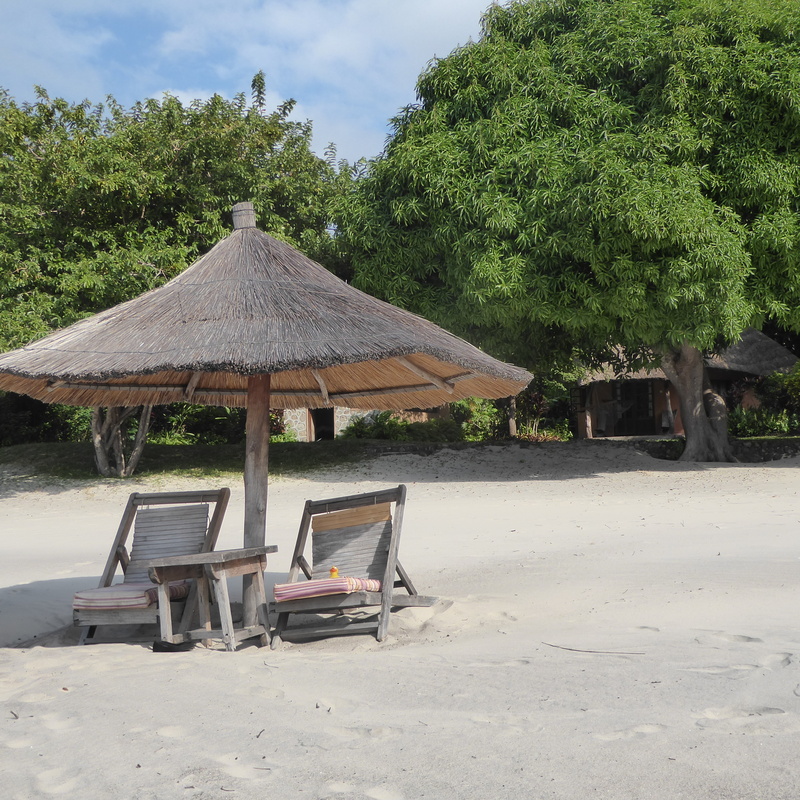 Maybe you will visit Makuzi Beach Lodge on Lake Malawi soon. 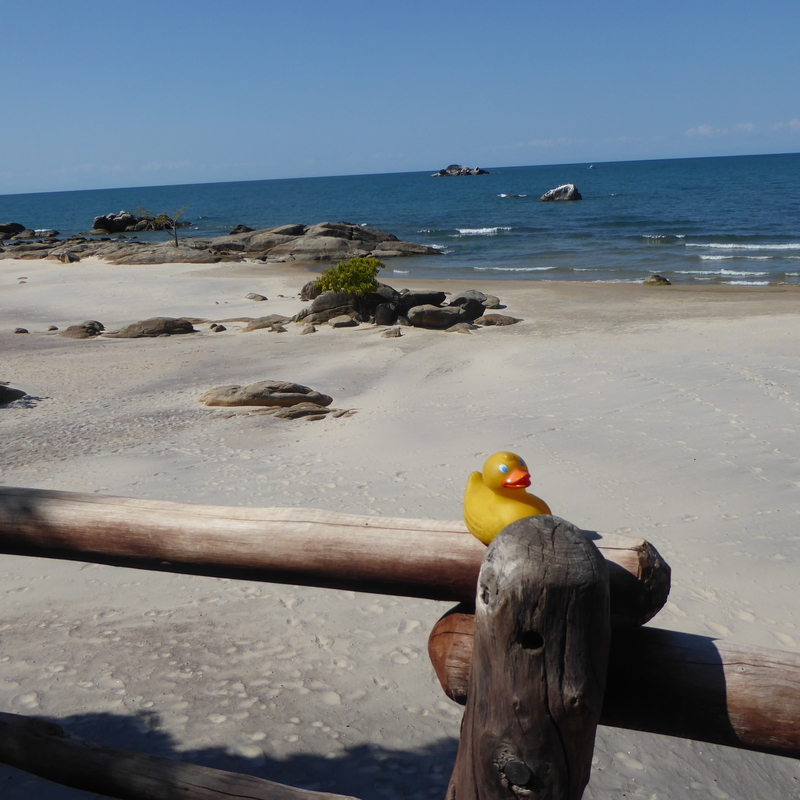 This entry was posted in Africa, Malawi, Uncategorized and tagged Africa, Colorado Traveling Ducks, dugout canoe, Lake Malawi, Makuzi Beach Lodge, Malawi. Bookmark the permalink. I’m glad you had a little get away weekend Zeb, after all your hard work. Thanks Mrs. ET. I love beach resorts. Almost as much as cruises. Thanks for reading and commenting. What a beautiful place to relax and have fun! It was fun here and so beautiful. Not many people, so very restful. We walked to a museum (next post) and it was interesting also. Thanks for reading and commenting.